Hainstock, E. G. (1997). The essential Montessori: An introduction to the woman, writings, the method, and the movement. New York, NY: Penguin. Koster-Hale, J., & Saxe, R. (2013). Functional neuroimaging of theory of mind. In S. Baron-Cohen, M. Lombardo, & H. Tager-Flusberg (Eds.) Understanding other minds: Perspectives from developmental social neuroscience (3rd ed. ), pp. 132–163. New York, NY: Oxford University Press. Lillard, P. P. (1997). Montessori in the classroom. New York, NY: Schocken. Miles, M. B., Huberman, A. M., & Saldaña, J. (2013). Qualitative data analysis. Thousand Oaks, CA: SAGE. Montessori, M. (1995). The absorbent mind. New York, NY: Henry Holt. Morrison, G. S. (2014). Early childhood education today (13th ed.). New York, NY: Pearson. Murray, A. K. (2008). 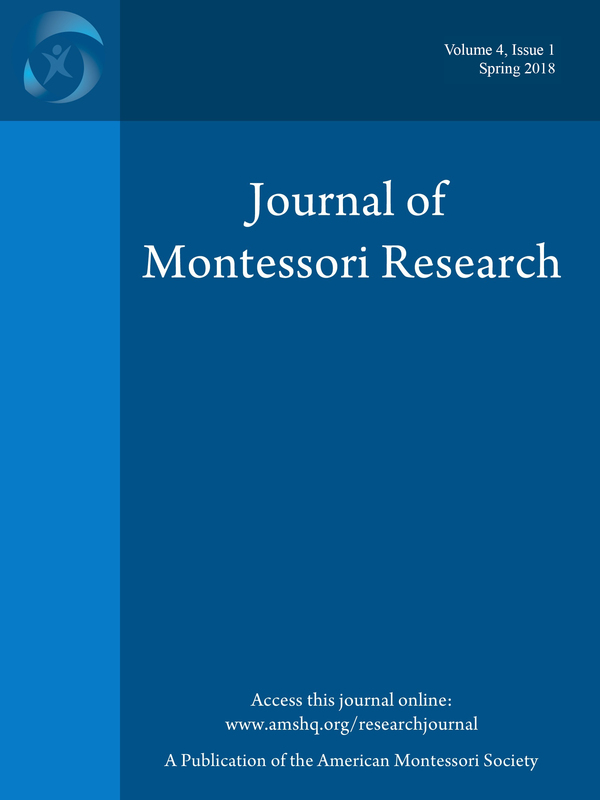 Public perceptions of Montessori education (Doctoral dissertation). Available from ProQuest Dissertations & Theses Global. (UMI No. 3297628). Murray, A. K. (2012). Public knowledge of Montessori education. Montessori Life, 24(1), 18–21. Povell, P. (2010). Montessori comes to America: The leadership of Maria Montessori and Nancy McCormick Rambusch. Lanham, MD: University Press of America. Schmidt, M., & Schmidt, D. (2009). Understanding Montessori: A guide for parents. Indianapolis, IN: Dog Ear Publishing. Seldin, T., & Davies, V. (2006). How to raise an amazing child the Montessori way. New York, NY: DK Publishing. Whitescarver, K., & Cossentino, J. (2008). Montessori and the mainstream: A century of reform on the margins. Teachers College Record, 110, 2571–2600.